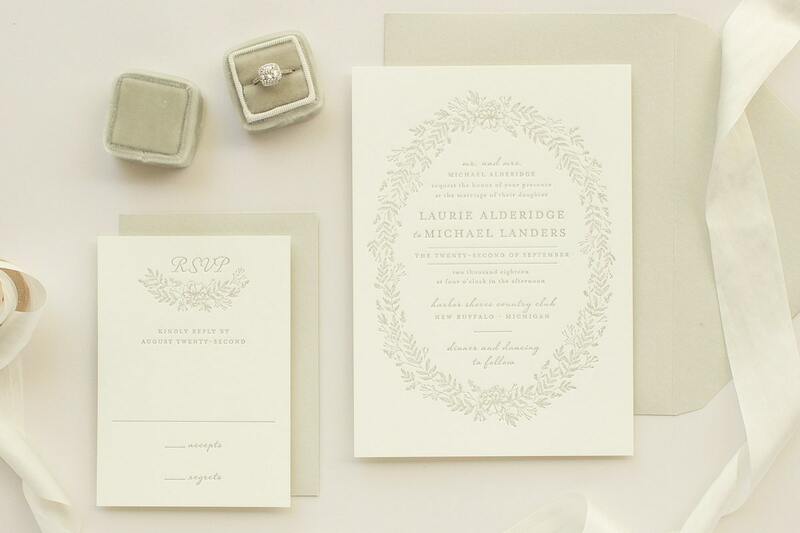 These taupe invites with letterpress invitations would be perfect for your outdoors wedding. 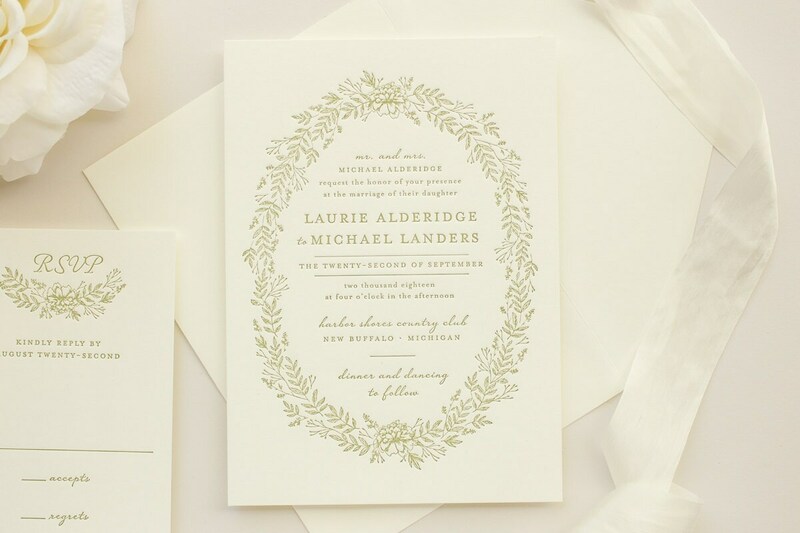 A floral wreath is letterpress printed on your invitations. 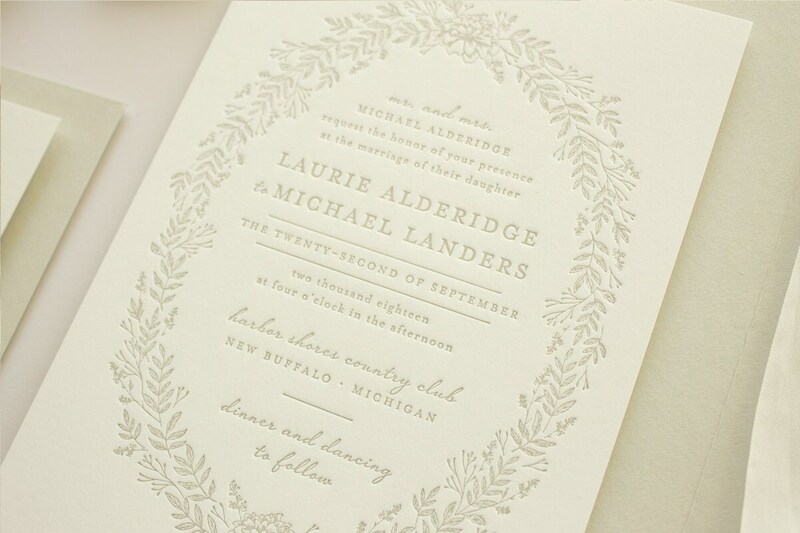 Letter press wedding invitation sample is not personalized and is sent with the colors and wording shown. 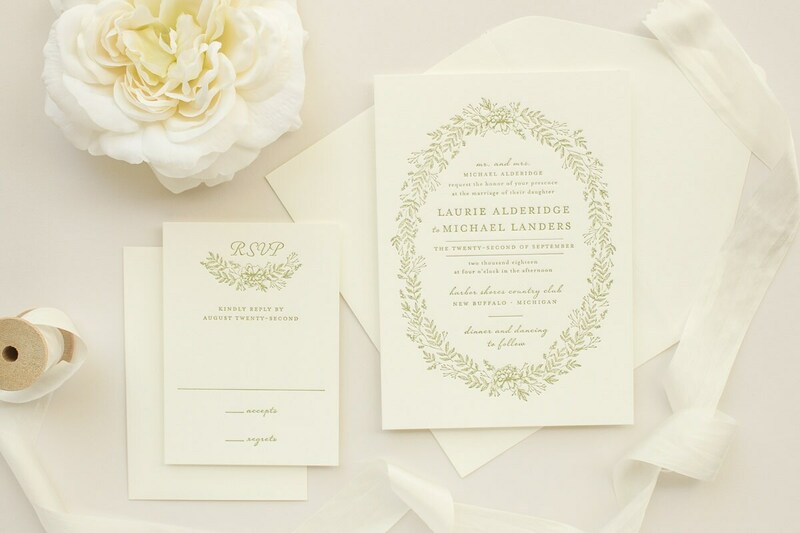 This listing is for a SAMPLE of the Enamored wedding invitation and rsvp card. You will receive a $5.00 credit toward a full print order placed within 60 days. 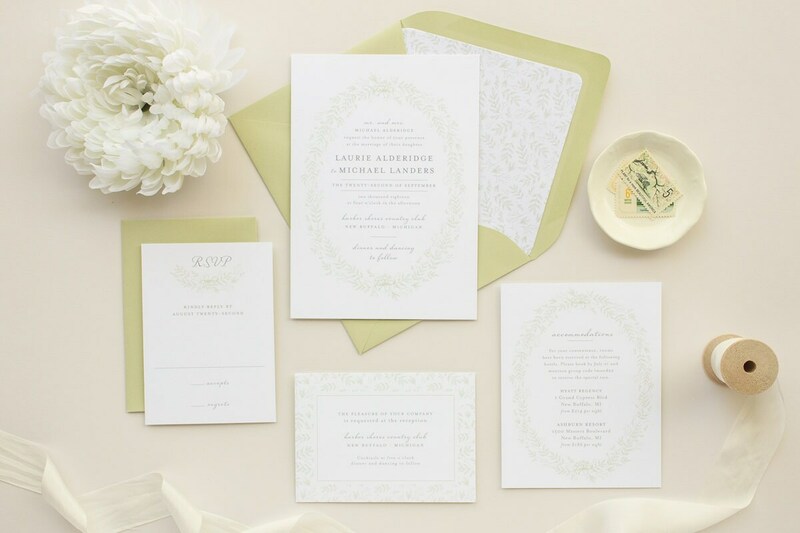 Additional invitation styles can be added to your sample order for $2 each. Please contact me to set up a custom listing. Samples ship via USPS first class mail within 1 business day of purchase.